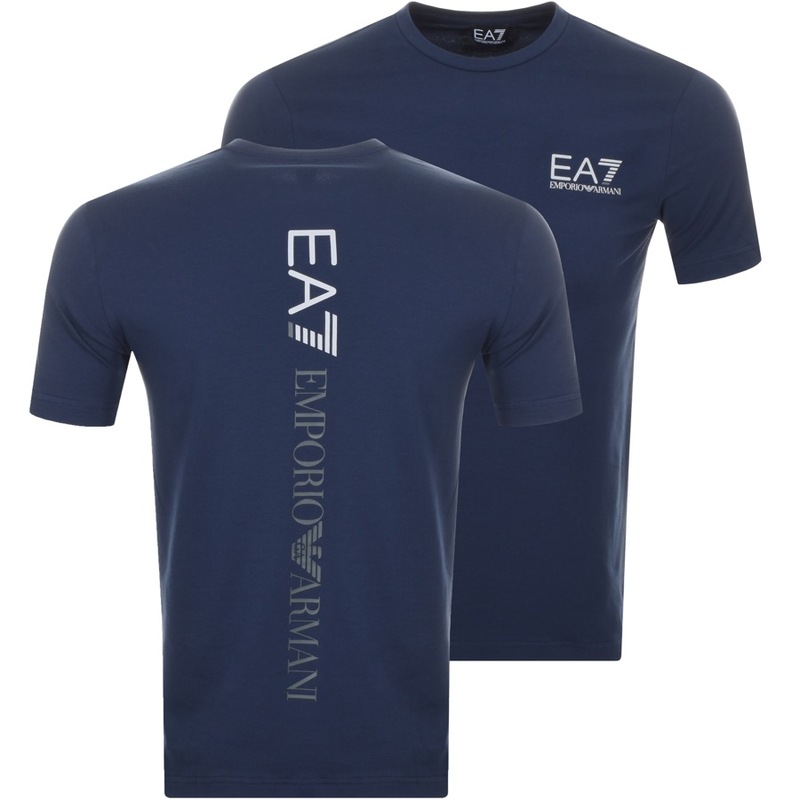 EA7 Emporio Armani Crew Neck Logo T Shirt In Navy Blue, A ribbed crew neckline and short sleeves. The signature EA7 Emporio Armani logo is printed on the left of the chest in grey and an additional EA7 Emporio Armani logo is printed down the centre of the reverse also in grey. 95% Cotton And 5% Elastane. New Fresh EA7 T Shirts, Polos And Sportswear Live Online.